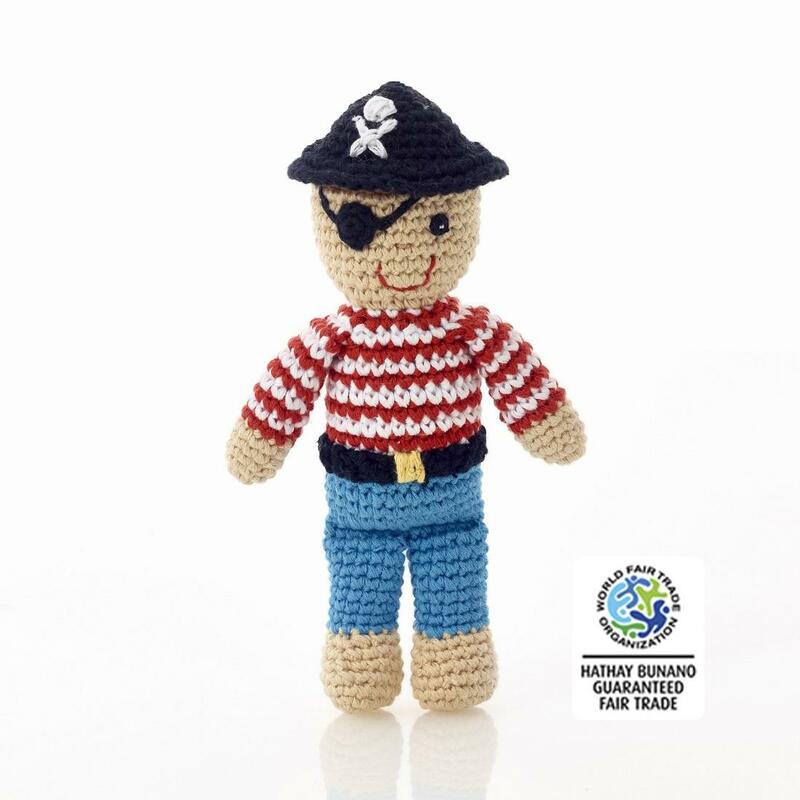 Meet our friendly, fair trade pirate rattle from Pebble. His stripey, red shirt and swashbuckling hat are all hand-crocheted in a soft, cotton yarn. Perfect for little pirates everywhere. Pirate doll also available.